While antiquing in historic Mt. Dora, Florida a few weekends ago, a large sign caught our attention, Ridgeback Winery. Mt. Dora is located about 20 minutes north of Orlando, and while not known for its wine, the city is filled with quaint boutiques and antique shops. Florida has several wineries and vineyards throughout the state, most producing fruit and/or muscadine wines. Ridgeback is the exception, as they purchase most of their grape juice from Lake Seneca in the Finger Lakes region of New York. And unlike traditional wineries, Ridgeback ferments all of their wines in plastic and glass. Annual production is around 750 cases of approximately 30 varieties. What sets Ridgeback apart from most other wineries is not their wine, but their customer service. We were warmly greeted by owner and winemaker Ron Thompson, along with his two Rhodesian Ridgeback dogs, Rosco and Zanta. What started as a hobby, has turned into a full time business. During our visit, Ron answered all of our questions and poured everything from the Smelly Sneaker Pinot Gris to the Pinot Puppy Pinot Noir. Although not my cup of tea, we had a great time talking to Ron and sharing his passion for his two loves, wine and dogs. I highly recommend a visit to Mt. Dora and Ridgeback Winery, and be sure to tell them that The Other 46 sent you. 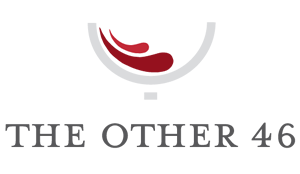 Click here to vote The Other 46 as your favorite wine blog!